Whether you need an excuse to have a cake or not! 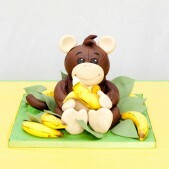 Cakes by Robin create magnificent tasting cakes for all occasions including christenings, birthdays, seasonal events, corporate events and more. 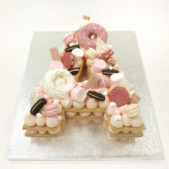 There is no better way to celebrate a special occasion than with a wonderfully designed celebration cake. 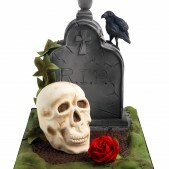 We can cater for any type of celebration or event including birthdays, anniversaries, christenings or corporate events and if you are looking for a wow factor for your event, one of our unique cakes is certain to provide it. Celebration cakes have become pretty standard features of any event and we take it for granted that a cake is the one item that can make our events complete and with our cakes there is no limit to the imagination and creativity we can use to make you the ideal cake so make sure your cake is a truly memorable one with a cake designed by Robin especially for your occasion. 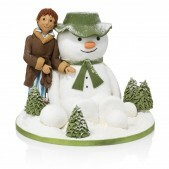 Robin has created many party cakes for a range of celebrations and can make the perfect centerpiece for your party. Whether you have a specific cake in mind or are happy to let us know the theme of the event for us to create something perfectly suited, we can cater for your needs. We also cater for specific dietary needs including gluten free cakes so feel free to ask us about our ingredients. 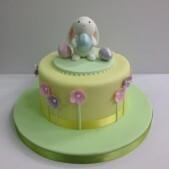 All of our celebration cakes are made to order and can be delivered to any location in and around London. 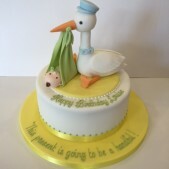 Coming soon we will have individual pages for the different types of celebration cakes we make including birthday cakes, baby cakes, birthday cupcakes, christening cakes and anniversary cakes. 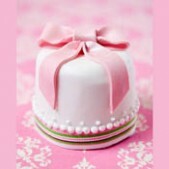 If you are getting married then also visit our wedding cakes pages.